Two weeks ago, we posted a roundup of all 50 food, health and ag South By South West (SXSWi) panel submissions. Now we’re pairing it down and highlighting our top food tech panel picks. Featuring CircleUp, Jawbone, Joel Salatin and more, these panel ideas explore innovative ways we can build a better, smarter food future. 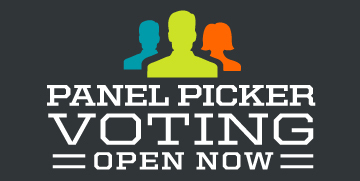 Check out the panel links and descriptions below, and make sure to vote for your favorites here by September 5. A surge in innovative food technology from apps to websites to services has created mountains of food data and new methods of understanding it. This leads us to wonder how can this data be used to innovate the food ecosystem? Join us as a panel of entrepreneurs from some of the leading companies in food data and food technology will discuss the possibilities for big food data. We are on the verge of something that can transform the entire food system, and the leaders in this movement will share their thoughts, ideas and learnings. Our panelists will unveil innovative insights they have gleaned from their experience and share specific use cases. Learn what lies in the future of mining food data and the advantages and obstacles at the convergence of food and technology. We will explore what our world could look like in 50 years, and what that means for the grocery store experience and the products sold within them. At a staggering $4.2 trillion, the food industry is one of the biggest in the world, yet hasn’t been upended nearly to the extent that tech, media, and other industries have. This is about to change. Societal needs and technologies are evolving at a breakneck pace and as a result, the industries that make and sell our food will need to keep up with the changing times. We will talk about how technology and society will change how food is produced and distributed, the way that people seek out and buy food, and the basic food and lifestyle needs that we will all have in the future. By highlighting the startups, retailers, and producers who are driving change for the future today, to posing a vision of what’s yet to come, we’ll take you on a journey to the future and back through the lens of the grocery store aisles. A decade ago, experts predicted that we’d be buying all of our food online by now, and even though there are some quickly growing players in grocery delivery (FreshDirect, AmazonFresh), grocery stores and supermarkets continue to thrive. Supermarket Guru Phil Lempert has been analyzing consumer culture and the grocery industry for more than 20 years, and he has a very clear vision for where grocery stores are headed: smaller spaces with a more curated selection and, for god’s sake, no bulky paper towels (because we’ll be ordering all the boring stuff via subscription). Increasingly interactive phones and smart carts will expand customized, in-store advertising in a way that enhances the shopping experience rather than interrupt it, and the use of e-coupons will grow, but only if grocers and manufacturers can cooperate. Improved packaging will keep food safer and consumers (and food processors) informed about what’s inside, where it came from and where it’s going. According to the USDA, a “food desert” is any part of the United States where healthy, affordable food is difficult to obtain. Inspired by technology startups in developing countries, low-income and low-access communities have succeeded in bringing innovative, cost-effective solutions to a growing social dilemma. It’s a good thing, too – government interventions and the increased “Walmartization” of consumer behavior have had little positive impact on food quality or distribution. This presentation will examine the cultural and societal impacts of technology on nutrition literacy. We’ll explore case studies around the world that demonstrate how personal empowerment results in greater food accessibility. Finally, we’ll discover surprising ways in which today’s interconnected marketplace is bridging the gap between farm and fork. Digging, planting, harvesting…farming has been an analog process from the early days of man and womankind. Not any longer. The effect of digital on farming cannot be understated and it is only picking up more momentum. Let’s take two quick examples. First, there’s the nutrient ROI calculator from Potash. They took soil samples across the U.S. and via geotargeting can tell farmers what kind of nutrients they need if they are planting, say, alfalfa. It can also calculate the yield. Yeah, and they give this away for free. 100,000 farmers downloaded the soil calculator app and used it in the field in the first two months alone. Then there’s John Deere. Deere has been masterful at soliciting advice from the foremost experts on machinery: farmers. They regularly crowdsource ideas for improvements. This allows it to improve its products as well as fully embrace the people who matter most: its customers. This session will show how this overlooked demographic is winning using digital. 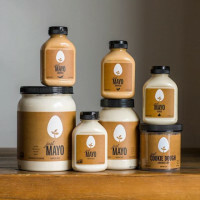 Where is Silicon Valley for Small Food Startups? Tech startups are awash with capital. From Silicon Valley to Wall Street, there are hundreds of VC firms rushing to invest in tech. Raising capital as never been more efficient more tech companies. But what about non-tech companies? For the 1.4 million privately-held consumer and retail businesses there isn’t a place like Silicon Valley with a significant concentration of investors. Non-tech entrepreneurs have to think more creatively; often relying on the old stand-by sources of early stage funding, including friends and family or credit card debt. But times are changing, and this panel explores how. How the process of fundraising for (and investing in) food businesses is becoming dramatically more efficient and accessible as capital markets shift from offline-to-on. Panelists will discuss the current funding landscape, including CircleUp’s value proposition, analyze what resources food entrepreneurs have, and highlight why investors should be interested in consumer/food. The future of food production is getting personal as companies develop products that empower people to easily grow their own produce at home. If these products are widely adopted, people can begin to remove themselves from our industrial food system. Industrial to personal paradigm shifts are impacting several industries. From solar companies enabling off-the-grid electricity production, to MakerBot’s vision of personal manufacturing with in-home 3D printers, technology is leading us towards distributed production. Food production is no exception. Companies like AquaFarm, Niwa, and Grove Labs are harnessing technologies like ultra-efficient LEDs and web-enabled sensor systems to catalyze personal growing and start a domino effect of change in the global food system. By calling attention to our broken food system, as well as providing immediate and convenient ways to initiate change, these companies are putting the means of food production back into the hands of the people. Africa is in the midst of a mobile revolution that is resulting in the unprecedented expansion of something Africans value most: relationships. This serves as a key innovation driver on a continent where mobile subscribers are predicted to hit one billion next year. The people of Africa embrace mobile technology to connect to communities, regions, countries and the world. This rapid ICT expansion has resulted in a “leapfrog” effect, resulting mobile technology innovation in critical sectors of the economy including banking, education, healthcare, agriculture, and community development. Local technology hubs spawn mobile applications and sharing of solutions as quickly as the technology allows. Join us to find out how, while the world debates technology, privacy and identity management issues, Africans are seizing opportunities to share, connect and enable communities through technology. When you think of tech professionals, you probably don’t picture Old McDonald. But from Kenya to Kansas and India to Indiana, farmers are using technology in a variety of ways to produce crops and maintain their land. Meet real farmers from across the globe who are bringing tech to their farms…they aren’t the “big ag” producers you might expect. Nearly 500 million smallholder farmers are working on up to 97% of the world’s agricultural holdings, and they’re using tech to keep their farms in business. The conversation about how important bees are to our planet has been had, and hopefully steps are now being taken to reduce the impact of modern farming and destruction of habitat on honey bees and wild bees. I would like to share my experiences of being sponsored by my agency to become a beekeeper (primarily as a reaction to the highly digitalised work in which I work) and how I’ve started using technology to monitor the health of my hives. SproutsIO Personal Produce – Jennifer Broutin Farah, SproutsIO Inc.
SproutsIO places the user at the center of their food system, enabling people to choose what they grow and how they grow it. From our carefully crafted hardware to our engaging mobile app, we have designed platform with a plug-and-play approach to growing produce. By enabling people to grow quickly with confidence, we lower the barrier to entry and foster easy adoption. Additionally, we facilitate unique experiences for growing Personal Produce. Not only can you monitor and customize your growing experience, our integrated system promotes various social interactions, generating new opportunities for unique moments with your food. These moments become the foundation for the development of culture, values and proclivity for long-term engagement, ultimately bringing people closer to their food. At full scale, the SproutsIO system liberates society from the supply chain, allowing us to take back control of what we choose to eat. For centuries before the dawn of modern technology, our ability as culinarians was largely determined by the techniques we could master as individuals. Whether honing our knife skills, exploring new cooking methods, learning new recipes or developing our understanding about ingredient interactions, much of this work involved many hours of research, exploration and learning. Over the past few years, the dramatic expansion at the intersection of food and tech has allowed technology to supplement, and in some ways supplant our need to build a foundational knowledge of cooking techniques. Access to digital content, millions of cooking videos, community message boards and a myriad of social media platforms means that technology has made it easier than ever to grow beyond beginner cooking techniques. Through this panel, we’ll take a broad look at the ways in which technology has influenced and enhanced our culinary lives, augmenting our ability to be food experts in a new digital age. The way we experience food is much more complex than taste only. Food is influenced through the interaction with and between our senses. Over the last 10 years the researchers of foodpairing.com have cooperated with chefs and bartenders worldwide. 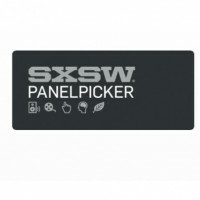 During SXSW Bernard Lahousse, the founder of foodpairing.com, will offer his scientific expertise on the topic of experimental eating, how he designs with tastes, how the foodpairing API can be used by developers to create new recipes and the ways in which the intersection of food and chemistry can lead to both palpable and visual excellence. The way our palates experience flavor is much more complex than taste alone. It is influenced primarily through the interaction between the senses. This presentation will be an interaction session where we will explore modes where one will taste, smell, touch, hear food in ways never experienced before. For the first time in the 160-year history of world’s fairs, the theme of Expo Milano will be food: “Feeding the Planet, Energy for Life.” From May 1 to October 31, 2015, welcoming 20 million visitors, this theme will unite 140-plus countries into action around the challenges and opportunities facing our global food system and the sustainable development of our planet. As we address the global challenge of feeding more than 9 billion people by 2050, what is the role of technology and innovation? 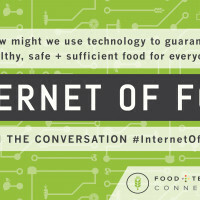 From robotics to big data to GPS to the quantified self, food is the next technological frontier. But there’s a difference between lifestyle toys for the connected and food security for the marginalized communities. Or is there? They’re doing it wrong! Health care is broken! Disrupt all the things! It’s fun to pontificate, but at a certain point, you’ve got to play at scale. Some of the best innovation happens outside the traditional health care system. But many investors and advisers argue that to get paid, reach scale, or show efficacy, you need to learn to work within the system. If health care in becoming consumerized, does this still hold true? How do you innovate on the edges & then still find ways to claim value from the traditional system? What are the ways to work with the existing system without getting caught up in an outdated approach? This panel is best for entrepreneurs & behavior change designers. Hear about successful tactics and frank discussions of expensive failures. Learn from a diverse set of panelists with experience in early-stage startups, the White House, healthcare.gov, a major insurance company, health tech investing and a company with a behavior change solution at scale. A panel discussion on how we can improve the well-being of communities through the intersection of tech and agriculture innovation, policy, and social enterprise. Specifically, we’ll discuss challenges that impact a community’s ability to access healthy food, from urban food deserts to policies that discourage new start-ups and social entrepreneurs. Panelists will discuss obstacles they’ve faced in their respective spaces as well as how to best navigate them. By discussing the important relationship between policy, innovation and well-being, we hope attendees will be further motivated and educated on ways to pursue a path that leads to greater well-being for some of the most vulnerable in our society. A data-driven evolution in healthcare philosophy & practice has made “well-being” a tangible and attainable metric of health for the everyday person. In this session, a panel of experts will present & discuss this confluence of big data and healthcare highlighting the “quantified self” & the Well-Being Index – a scientifically proven method of defining & measuring health through traditional physical components (e.g., diet & exercise) while incorporating additional, advanced metrics such as emotional security & financial health. By quantifying previously overlooked factors, the Well-Being Index is driving a new paradigm of personal health at a time when the healthcare landscape is evolving from a “sick care” model to a more integrated “health care” model. The panel includes Edelman’s Wellness 360 director, Jennifer Pfahler, moderating a pioneer of integrated medicine, Dr. Dean Ornish, Healthways CEO Ben Leedle, & Gallup Senior Scientist, Tom Rath. Bacon – it’s delicious, and it can really go on or in anything. If you love bacon, or any food, you may be fascinated to learn about the innovative technology used throughout the entire process from getting your food from the farm to your dinner plate. Join a farmer, professor and chef to talk about the surprising technology that brings our most delicious indulgences to table. Culinary revolutions have been few and far between in history (the change from theocratic to modern cuisine, for example). Many believe that our food system is broken and that it needs a complete overhaul. By analyzing earlier food revolutions, this session lays out five essential conditions: a change in ideas about food and nature (including our bodies); a change in ideas about food, economics, and politics; a change in ideas about virtue and morality; new ways of processing; and political backing. Right now, new technologies are affecting all these factors. The speaker will then invite the audience to use these tools to predict how new technologies will affect the future of food in the next half century. The global food industry is entering a new era. There are a slew of disruptive technologies geared toward enabling radical transparency in food, whether that be DNA sequencing, mobile detection tools, food mapping or the like. These are all relatively new and unfamiliar, but their potential impact is colossal. Simultaneously, the stakeholders involved — consumers, retailers, and food suppliers — are beginning to think about food in a new and critical way. They’re more curious and more motivated to buy what’s good for both their health and their bottom line. Transparency is no longer a “nice to have” — it’s a mandate. In this session, we will pinpoint and dissect the most influential technologies affecting and enhancing food transparency as we know it. We will dive into specific use cases and illustrate ways in which both consumers and food retailers can use these innovations to their advantage, helping to create a new standard in food. More than 50% of the world’s population now lives in cities and, by the end of this century, a projected 90% of Earth’s 9 billion will be urban-dwelling. With local ecosystems already in distress and the specter of global climate change, how will we provide food, water, and energy for cities as they grow larger and denser? We will propose design- and data-driven innovations that integrate seemingly disparate technologies like aquaponics and Passivhaus design to pursue biomimicry at the ecosystem level and recreate cities as closed loops. The discussion will center around produce, protein, water, energy, and waste, with time allotted for audience inquiry, commentary, and debate. Allrecipes is the world’s number 1 digital food brand, it received more than a billion visits annually from home cooks around the world across PCs, smartphones and tablets. With so much information coming in, Allrecipes faced endless possibilities on how to mine this data to bring real-time food behavior insights to their internal teams, the media, technology partners and the world’s largest CPG brands in actionable, timely, and meaningful ways. In this session, you’ll hear about how Allrecipes has used analytics to arm its internal teams, media and tech partners, and some of the world’s greatest CPG brands with actionable insights. In particular, you’ll find out how Allrecipes leveraged data to empower one of America’s favorite chocolate brands – Ghirardelli – to get mainstream consumers to trade up to premium baking chocolate.